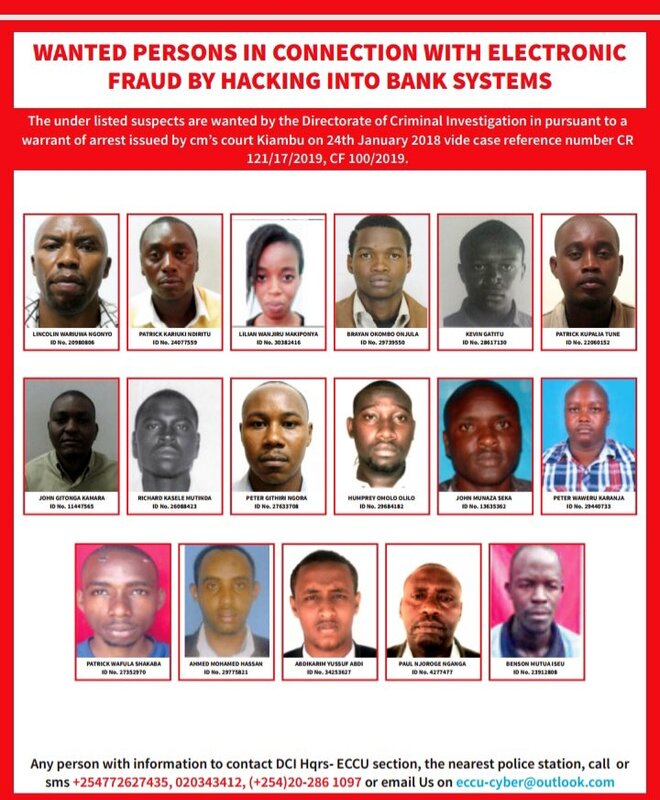 Wednesday January 30, 2019-The Directorate of Criminal Investigations (DCI) has on Wednesday released 130 photos of most wanted criminals accused of electronic fraud. 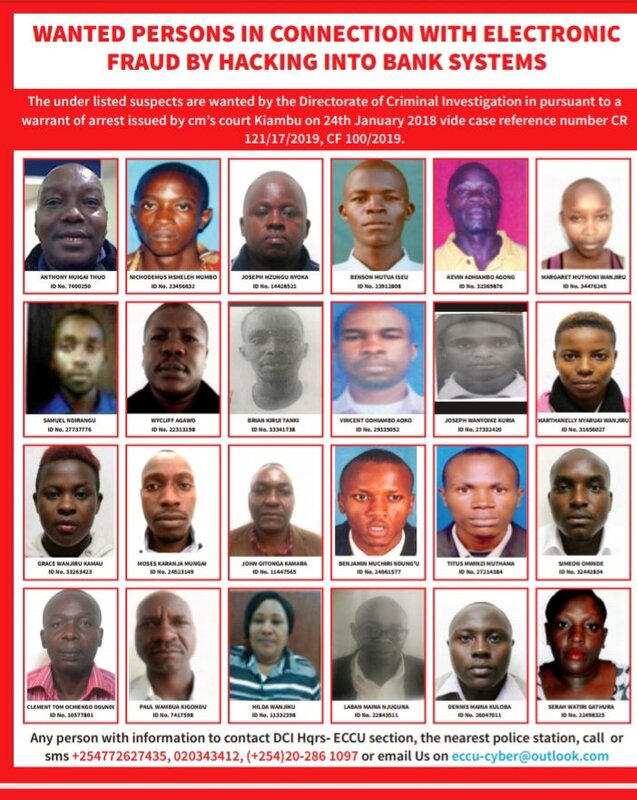 The DCI advised members of the public to proceed to the nearest police station and give information on their whereabouts. 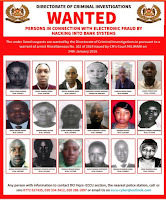 They are wanted in connection with electronic fraud by hacking into bank systems. 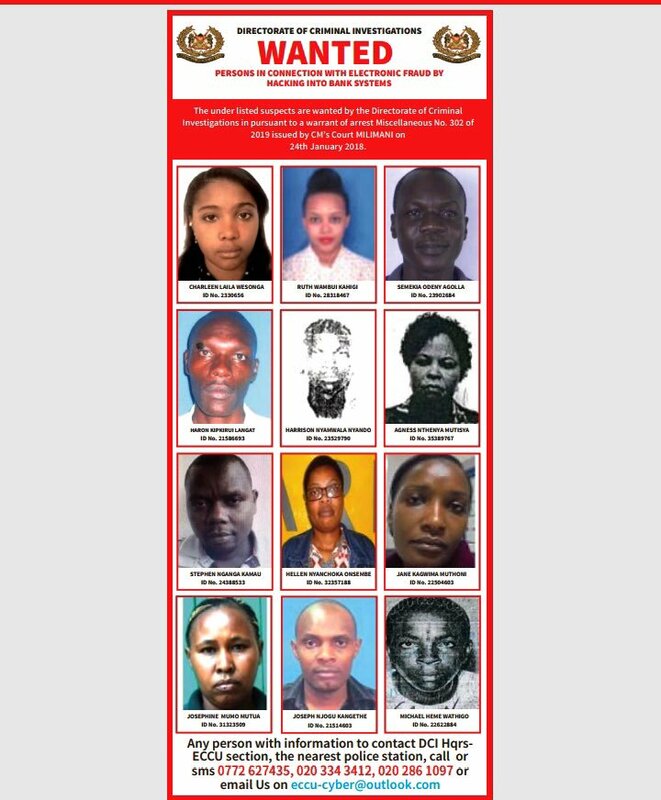 "If you have any information about their whereabouts, kindly contact (DCI) ECCU Section or at your nearest Police Station," posted DCI. 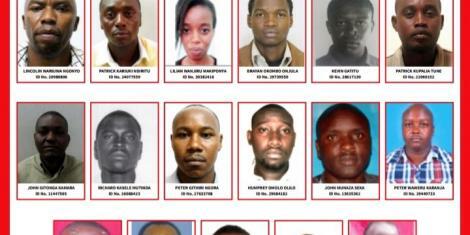 The directorate further issued contacts through which members of the public could use including +254772627435, 0203343412, (+254)20-2861097. 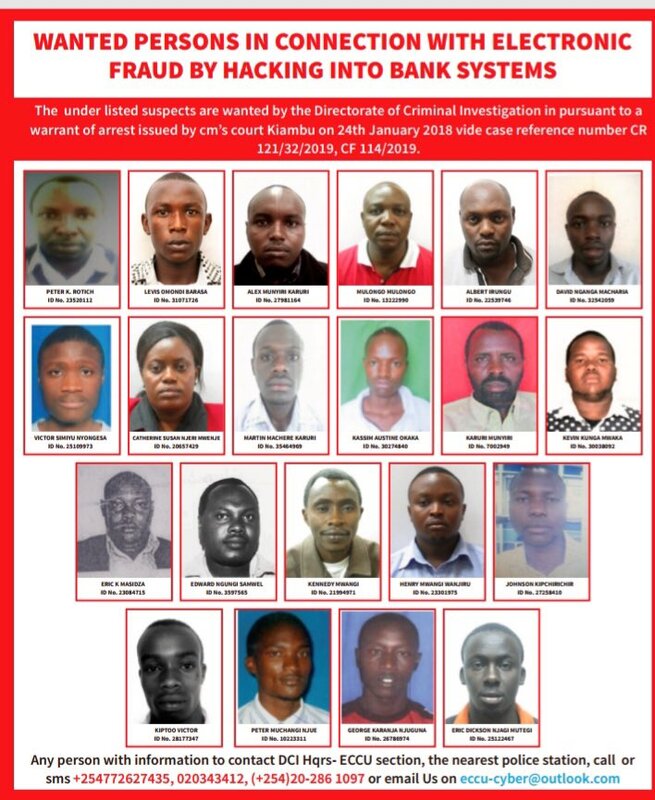 The DCI explained that they had obtained an arrest warrant from the court of law to nab the suspects. 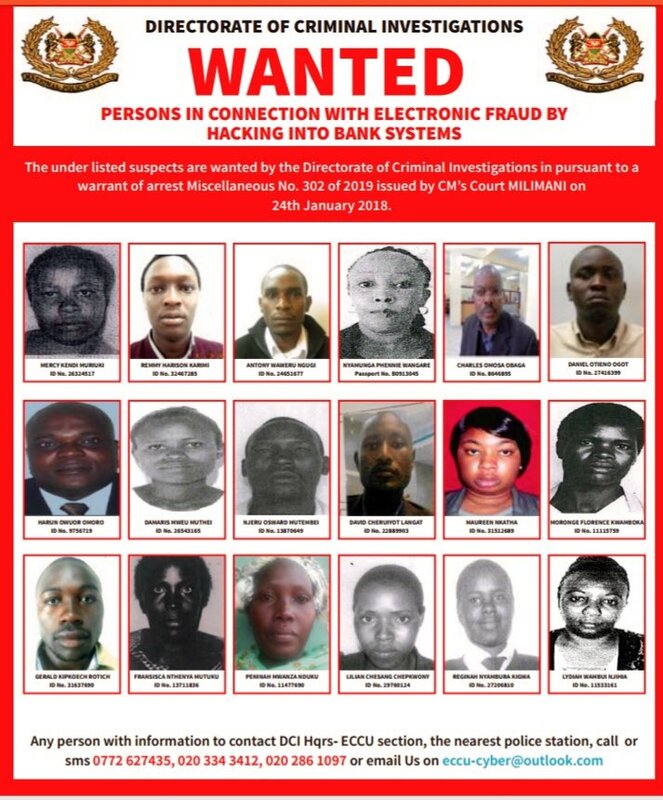 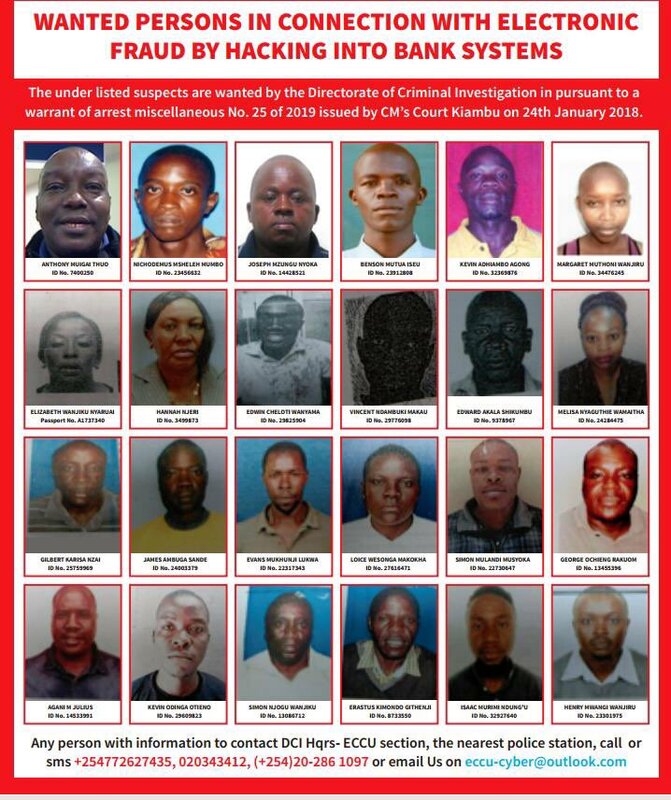 "The under listed suspects are wanted by the Directorate of Criminal Investigations in pursuant to a warrant of arrest issued by (criminal) court Kiambu...case reference number 121/17/2019," read the poster.